We've gathered the answers to the questions we are most often asked about our programs. If you can't find an answer here, contact us and we'll be glad to answer your questions. Is your China Internship program open to applicants of all nationalities? This program is open to applicants of all nationalities. However, the visa application requirements vary depending on your nationality and country of residence. What are the eligibility criteria for an internship? seeking the internship in a sector relevant to your studies. High School Internship applicants are exempted from the age restriction. The following characteristics, though not a requirement, make a good candidate for an internship in China. Do I need to know how to speak Chinese (Mandarin) to apply? Our only language requirement is that you speak fluent English. Most of your Chinese colleagues at your placement company will be able to speak some English. We also ensure that your supervisor is fluent in English not only to help mentor you throughout your internship program and also to provide structure and support throughout your work experience. I’m a Chinese national, can I still apply? We welcome applications from anyone across the world, including Chinese nationals who live abroad or reside in China. Our program is designed for passionate individuals with a suitable education and work experience; we don’t restrict applications based on the cultural background or nationality of an applicant. We accept pre-university students, students wishing to have a gap year, undergraduates and graduates based on their experience and overall program suitability. We welcome anyone able to demonstrate the ambition, curiosity and drive required to work abroad. We require application at least one month or longer before your program start date to ensure we can make all the necessary arrangements for a hassle-free and exciting time in China. When is the deadline for an application? We recommend that you apply at least a month before you would like your internship to start to ensure we have enough time to find the most suitable placement (places in some internship fields can be limited) as well as provide logistical assistance. It is advised that you leave at least one week for the processing of your visa. We will accept late applications, contact us to discuss your needs. Applications must be completed using our online application form. Placements can be very competitive, so to get the best placement position you will need to apply as early as possible. We require you apply at least a month in advance. What is the application procedure for an internship with Go Abroad China? Applications must be completed using our online application form. Remember to submit your CV/résumé in your application. Once we’ve received your application, we will be in touch to arrange an interview, on Skype, to assess your suitability for the program, and to understand your interests and requirements. This interview usually takes around 15 minutes to complete. We will then work with our host companies to find you suitable placement options. If you are a suitable candidate and we have placement opportunities for you, we’ll send you an offer within two to three business days. To find out more, see Internship Overview. Is it possible to put in a late application? Although not ideal, it is possible for us to take late applications. We will do the best we can to arrange as much as we can on short notice. You will need to be very responsive to our communication to avoid any delay in our procedures. However, some internship fields are highly competitive, and we encourage you to apply at least a month in advance to ensure you get the best placement opportunities. How many applicants join your internship abroad program each year? Go Abroad China has hosted over 4 000 applicants since our inception in 2003. In 2017 alone we welcomed over 800 students! We hope to welcome even more in 2018. Are your company and programs reliable? Go Abroad China is a legal corporation in the U.S and China. GAC operates strictly within the laws for foreign student programs in both China (LTD) and the United States (LLC). 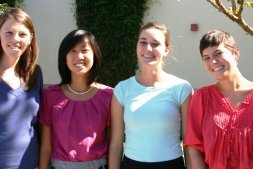 We have been supporting Learn Chinese and China Internship participants since 2003. We are happy to provide contact details for past participants so you can talk to them about their experiences with us and gain their advice and insights about our programs. We also have a range of testimonials available on our website and other study abroad websites such as GoAbroad.com, studyabroadchina.com, and ratemyplacement.com. We encourage you to conduct a thorough background check on any company you consider before you provide your full payment as there are some less than reputable internship and study abroad programs in China. What if I do not want all of the elements of the full-service package? Our company is known for its flexibility! We can create a tailored program for you that meets your requirements or work with you to design a new course. If, for example, you are interested in our Chinese one-on-one tutoring (private classes), but would like to focus on a specific topic such as business Chinese, we will design a new course for you so you can achieve your goals and have the best experience ever! Does Go Abroad China provide accommodation? We do provide accommodation for our students. We have three types of housing: homestay, shared apartment, and private apartment. The homestay accommodation allows you to live with a Chinese family with whom you can practice your Chinese. We usually match you with a family that speaks at least a basic level of English. If you choose a shared apartment, you will have the opportunity to have one or two Chinese roommates with whom you can practice your Chinese and who will teach you more about the Chinese culture. If you choose a private apartment, you will have total privacy. Are the flights to China included in your package (roundtrip flight)? Flights are not included in our program packages. However, we can recommend flights for you. Is it possible to extend my visa once I am in China? Yes, it is possible. However, renewal will be dependent on when you decide to renew your visa, the expiration date of your visa, and your nationality. You can typically extend your visa twice, and the renewal application can take up to two weeks. Do you offer internships in Hong Kong? Unfortunately, we don’t offer internships in Hong Kong. There are many more placement opportunities in Mainland China, and we receive regular requests from applicants in Hong Kong. We believe Beijing and Shanghai offer better opportunities to learn more about the Chinese culture and language. What kind of partner companies do you have? Once you have completed your application and paid your deposit, we will be able to provide you with more detailed information about the companies and internships available for you. What happens if I don’t pass my placement interview with my potential host company? Our Internship Program focuses on finding the best company for each applicant. We will evaluate your needs to help you find the best internship based on your educational background and working experience. However, we also need to consider the company’s requirements. If one of our partner companies proceeds to an interview and you are unsuccessful, don’t fret. We will have other placement opportunities for you, and we will make sure you get to intern in a company you like. Are you able to place me with a large multinational organization recognized globally or nationally? Intern positions with multinational organizations are very competitive and can be limited. They often receive hundreds of applicants from different internship placement companies. We, therefore, cannot guarantee that you will have a place among our multinational partner organizations. To improve your chances of success, we recommend you do what you can to make your résumé stand out. Remember to include previous work experience, the different languages you speak, the scholarships you’ve received, and anything else that can help you stand out from the crowd. What will happen if I pay the total program fee, but I cannot get the visa? We have successfully helped over 4 000 participants come to China. Our Visa Service Department does everything they can to ensure you get your visa and have not yet had a visa application denied. However, should this happen, we will refund a percentage of your total program fee. We require full payment of the program fee to finalize your placement with your host company (and therefore supply you with the invitation letter needed for visa application). Why am I unable to contact you partner companies directly? To ensure clear lines of communication, reduce any confusion and protect the confidentiality of our companies until they choose an intern, we do not allow direct contact between host companies and applicants. You will be able to communicate directly with them once you have accepted, and started your internship with them. Is there a fee for your programs? All our programs incur a program fee based on the included options such as accommodation, networking, social and cultural activities, excursions, Chinese classes and more. We have set program packages available. However, we are also more than happy to create a wholly tailored program based on the options you want to have included, or based on your available budget. Can I make monthly payments for the program? Unfortunately, we require full payment up front before placement. These fees help us find and secure your internship placement, Chinese language classes, accommodation, visa application documents, airport transfers, weekend activities and more. We do, however, have an option to pay off your balance in installments. Contact us to arrange an installment plan. Can I get a full refund of my deposit if I don’t like your offer? Your deposit will consist of an application fee of US $100 and a US $200 deposit. If we are unable to find you a suitable placement, we will refund your $200 deposit. I am worried my visa will be rejected. Can I pay the fee once I have my visa? Unfortunately not. We require full payment before completing the visa application process with you, especially as there are visa processing costs involved in the visa application process. Our dedicated Visa Service Department has not yet had a visa rejected. However, should this happen, we will refund a percentage of the program fee. What level courses are available? Mandarin Chinese Study courses are available, from beginner to advanced. Before beginning your course, to make sure you are placed in the correct class for the duration of your program, CSA will enroll you in a placement test to gauge your level of Mandarin. Schools provide classes in different levels, i.e., Beginner, Intermediate and Advanced, divided into sub-levels, e.g., Basic Beginner, Intermediate Beginner, Advanced Beginner, to ensure that each student is placed in the correct class at a level that best to suits their requirements. Each school has a slightly different practice for dividing students into the different levels so please see our “Schools” section and check out each school for exact details. Where can I find a campus map of my university? As soon as you arrive, the Go Abroad China team will supply you with a map of your university, your neighborhood, and other complementary materials, help you get around the university campus, as well as help you to get familiar with the neighborhood you’ll be staying in for the duration of your program. All the GAC mandarin tuition programs include course textbooks which will be supplied on the first day of class. The average class size is generally 10-15 students and no more than 20. Classes are run daily, Monday-Friday. Students are usually placed in one of two four-hourly sessions with short breaks between classes: either a morning session (8am-12pm) or an afternoon session (1pm-5pm). After class, there is no substitute for putting in hard work to reinforce the lessons learned during class hours. Homework consists of character repetition and learning. Generally, two hours of out-of-class homework and revision is recommended to keep up with the class and to make good progress during your period of study. See Daily Life of a Student for more information. t’s really up to you, the student, how much you’ll learn. Learning Mandarin is a time-intensive process. Many hours of hard work are required, practicing character writing and learning new words. Each student’s progress is highly dependent on how much time is put in outside of the classroom to practice what is taught during class. By knowing 200 characters, you’ll know enough to survive at a fundamental level on a daily basis, i.e., introduce yourself, give directions to a taxi driver, order basic food and drink. Knowing 800 characters allows you to hold a basic conversation in Mandarin Chinese, for example talking your likes and dislikes, about the weather, shopping and almost effortlessly getting around town. Knowing 1500 characters enables you to read a newspaper; although you may not recognize every character, you’ll be able to understand the overall meaning of an article. When you know 2500-3500 characters, you’ll generally be around the same level as a local Chinese high school student. At this point, you’ll be able to read and understand newspapers and television programs and converse easily on a wide range of topics. Reaching the level of 20 000 – 30 000 characters will put you within a tiny group of academic linguistic experts who command a rare knowledge of all nonstandard vocabulary and subtleties contained in Mandarin Chinese. Not many people, foreign and even local ever reach this level, but there is no harm in trying! We encourage our students to study as much as possible, especially as learning Chinese is a time-intensive process. Practicing Chinese Characters and memorizing your new words will lead to faster, more ideal results. Can I receive university/college credit for work completed on my program? Go Abroad China partners with the top universities in China, who are internationally accredited; therefore most international universities outside of China will accept credits received from them. Many of our students have earned credits for their studies in China. GAC will help you obtain any information and documentation you need to support your request for course credits. The final decision to offer academic credit will be up to your university. As every university is different, we encourage you to check with your university at home regarding your accreditation requirements. How do course credits work? Go Abroad China only works with Chinese Universities who are accredited by the Chinese Ministry of Education. At the end of each University Chinese language program, the university will issue an academic transcript which lists the courses each student has taken, the number of hours they’ve attended class, and their final grades. Grades are primarily based on the final exam, with some weight given to a midterm, homework, and attendance. Most students interested in transferring credit to their home universities will need to get the program approved in advance. Because the programs consist of 20 classes a week, they’re considered to be the same as a full-time program (in reality that’s more than full-time study by western university standards!). A four-week program is approximately equal to one-semester Chinese course at a western university; a semester is several courses and should be awarded 12 to 15 credits in the US (a full semester's worth of classes). Why not come to China to study? How is the grading system processed for the Mandarin Language university program? The grading system will depend on the course you have selected. Some courses will include assignments, while others have a final exam. You will not receive a certificate for your course if you are absent more than 25% of the time. Anyone who adds tutoring to their program will have a better chance of passing the course as the Chinese language programs are challenging. Will I receive documentation upon completion of my program? Yes! Go Abroad China will provide students with a certificate of completion at the end of their program. For university program participants, each university will issue an additional certificate. Can I arrive before my course begins? Go Abroad China recommends that you arrive on the specified arrival dates for each program, which are selected, allowing you a few days to settle into your accommodation, start making new friends and explore your local area! However, if you need to arrive before the stipulated time, or want to extend your stay after the program officially ends, then this can be arranged for a small additional fee. Which topics and lessons will my course cover? Your lessons will focus on all the elements of the Chinese language: speaking, listening, reading, and writing Chinese. There is also an emphasis on skills which allow students to take advantage of the local environment so that they can communicate in everyday life. In the classroom, students generally go over vocabulary, practice reading, learn grammar and master Chinese sentence formation and structure, do some speaking exercises with other classmates and more. All these aspects will ensure a rapid knowledge of the Chinese language. What are the teachers and lecturers like? The professors are highly experienced native Mandarin speakers, with years of experience in teaching Chinese to foreigners and are considered as experts. They are highly capable in their chosen field. How do I know what my language proficiency is? Before you formally start your learning, you will take a placement test which will help us know which class to place you in, and what your current level of Chinese is. How long will it take to be fluent in Mandarin Chinese? If you follow the course from the complete beginner level to the end of the advanced level, it should take you around three years have the fluency of a native Mandarin speaker; this may include studying during the summer and winter holiday breaks. However, everyone is different. Some people can learn faster than others. It can be possible to skip some levels if you are a fast learner and work hard. It isn’t necessary to go through all the levels from beginner to advanced or to speak like a native, a high and reasonable level is usually accepted to live and work in China. Students who complete the beginner level should be able to converse in simple Chinese already. The Chinese language classes at our partner universities and language schools generally run from Monday to Friday with a total of 20 hours a week (for a standard program). Class periods are usually around 40-50 minutes long with a short break provided in between. Students taking the GAC’s intensive Mandarin program have approximately 10 hours (unless you want something more intensive) a week provided in a one-on-one setting with an experienced tutor. See GAC One-on-One Tutoring for details. On top of regular class hours, you will have homework that you need to do most days. What are the lecturers and teachers like? 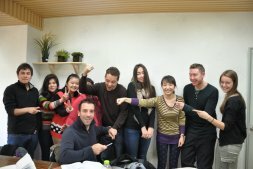 The professors are experienced and qualified in teaching Chinese to foreigners and are considered experts in the field. Yes. It's generally best to spend two to three hours per day studying and completing homework. If you want to accelerate your mastery of Mandarin, you’ll have to work hard. A great way to study and keep on top of things is to sign up for our Intensive program and have the One-on-One tutoring sessions focus on the homework set for you in class. If you follow the course from the complete beginner level to the end of the advanced level, it should take you around three years have the fluency of a native speaker; this may include studying during the summer and winter holiday breaks. However, everyone is different. Some people can learn faster than others. It can be possible to skip some levels if you are a fast learner and work hard. What is the advantage of private tutoring? 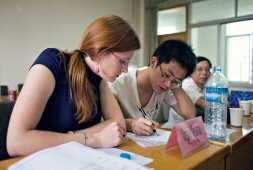 One-on-one tutoring has been found by many students to be helpful in advancing their Mandarin studies quickly. Not everyone likes to learn in a classroom environment, and this one-on-one private tutoring style is most suitable for these kinds of students. We have found that students who have difficulty with speaking and listening benefit more out of private tutoring. One-on-one tutoring is arranged to fit your schedule, making studying more convenient for you. Some students like to schedule their sessions around other activities, choosing a location they want, for example, at home, at a coffee shop or in our offices. Who will my private tutor be? We have a selection of private tutors whom we have worked with for some time. We allocate tutors with teaching experience, who are fluent in both English and Chinese, flexible and will make learning enjoyable for you. Which books will I use for one-on-one tutoring? Your tutor will be responsible for selecting and recommending which textbooks would be most suitable for you to learn Chinese proficiently, based on how quickly you wish to learn and alongside any other requirements that you might have. A passport and Chinese visa are required to enter the country. You need to apply for the visa directly, or you can use a third party visa provider. Before your visa application, make sure that the passport will not expire within six (6) months. Remember, it is vital that you keep a photocopy of the information age of your passport and your visa at all times while you are traveling. Depending on the duration and type of program, Go Abroad China will advise participants on which kind of visa they should apply for before their trip. It is important that you give at least two weeks for the processing of your visa. My child is a vegetarian, are there good meal options? As a vegetarian, you will be able to enjoy many meals in China as it is customary to see dishes prepared with noodles, tofu, and various vegetables. Many vegetarian dishes can be seen on menus across China should you choose to dine out. While we have a diverse range of delicious and flavorful food available, we have found that it is not uncommon for foreigners to have food allergies or an aversion to some food products, their smell or taste. In China, we use an abundance of oils, nuts and other ingredients. If your child is eating out, they need to be careful to choose foods that will be safe for them to eat and avoid eating street food. Let our team know of any food allergies so we can notify host families and help them eat safe foods. Are any doctors on call or immediately available? Our apartment complexes are located near medical facilities. Your child may also go to any international hospital or clinic while traveling throughout China. A staff member will accompany them at all times. Is it easy to buy medicine? Yes, there are many pharmacies located that supply Western and Eastern medicines. However, we still recommend that participants bring their own medication just in case they are very particular about the brand and type of medicine they are using. Also, buying western medicine from home is always cheaper. Is insurance included? If so, how does the claim process work? Yes, Travel and Medical insurance are included in all of the programs. Your policy coverage begins the day of your departure and finishes the day you arrive home. Contact us for detailed information on our insurance policy inclusions. Is medical and accidental insurance required? All our participants are required to have health and emergency medical insurance, and this cover needs to be purchased before you come. Although most of our programs include medical and emergency insurance, the basic packages don’t. You need to make sure you know which package your child has applied for and what complimentary insurances you need. If you are taking out your own health insurance, make sure you are covered for accidents and illness, as well as emergency evacuation should you need to be flown home for emergency medical treatment. Our team is here to help you prepare and can offer advice on reliable medical insurance for your time abroad. You need to be adequately covered for your time here; our program coordinators are here to help. If your child is coming to study at a Chinese university, they’ll need to purchase their student insurance once they’re in China; the cost is no more than US$100 per academic year. What are the crime statistics in the area? Although Beijing and Shanghai are one of the largest cities in China, the crime rate is very low compared to other cities from around the world. For one, guns are outlawed in China, and most of the crimes reported in China are petty in nature, such as stolen bikes or the sale of fake goods. Nevertheless, students should still be cautious about traveling around the country; we strongly advise them to travel in groups. What assurance is there that my child will be safe? At GAC recognize that students need supervision, and that high school students need more supervision. We therefore have measures in place to ensure their safety abroad (and your peace of mind). Our onsite staff is on-call 24/7 to assist participants in any and all problems that might arise during their stay in China. All of GAC's program activities and excursions are organized and run by staff members, and take place during the day in safe locations. Unless otherwise permitted by their parents, high school program participants must return home each weekday evening for dinner with their host family. During weekends and special occasions, students may ask their host family permission to have dinner elsewhere. All high school participants are required to notify their host family about their destination and approximate return time if going out with friends in the evening. We highly recommended that parents notify the GAC staff about the weekday and weekend evening curfews their child has in place at home. Our staff can then make sure that the student's host family enforces this curfew. Our apartment complex has 24/7 security guards and video surveillance. Also, there are always police patrolling the area. The safety of your child is important to us, and we believe minors should be accompanied by a legal guardian or parent. We also require participants to inform us before they plan any out-of-town trips so we can assist them and know what their itineraries are in case of emergencies. Are they provided with some way to communicate with us? With the School? Yes, upon arrival to their program all of Go Abroad China’s participants will receive a SIM card which can receive and make local calls and GAC’s Skype account number to make international calls. The mobile has a dual-SIM feature allowing them to use their international SIM card in case they have one. Also, our team is available 24/7 and can receive calls from any of the numbers listed on the Contact Us page. The universities do provide support in English, however, Go Abroad China will know more about the whereabouts of your child than the university. Yes. Our apartment complexes have a 24-hour security guard and video surveillance. Also, to enter any of the buildings within the complex, you will need an electronic key card to enter. There is also a video intercom in case you have visitors. You’ll know who is visiting your apartment. How far is the school from the apartment? We usually arrange accommodation close to the school. Our housing is conveniently located near public transportation with a maximum travel time of 30 minutes by bus or subway. We will supply a map and suggested methods of transportation. Can the parents visit their child? Yes, parents may visit. However, if a parent or family friend decides to stay in the apartment for an extended period, Go Abroad China will require an additional fee to cover utilities and provide travel and medical insurance coverage. Yes. Each family undergoes a rigorous screening, including personal interviews by our staff, and a security check is completed before a family is accepted. Housing units are usually owned (not rented) by the host families, and most hosts have professional careers. Besides, many families are located in a nice community where there is 24-hour security service. How far will the homestay be from school? The families near campus are located either walking distance or within 30 minutes by public transportation in non-peak traffic to the campus. Are ATMs available across China? Yes, ATMs are available throughout China. Is it possible to get a refund if they don’t feel safe? Go Abroad China has a refund policy that the customer agrees to when the application is submitted. However, the insurance policy does reimburse a portion of the program fees if specific events were to occur. How fast can beginners learn? How fast a student learns will depend on the focus and the desire of the student to study while he or she is here. However, our GAC alumni agree that the Intensive Tutoring Program, or having class tutorial sessions after university will improve your Mandarin much faster than if you only take part in a university program. Our tutors are native Chinese university graduates with at least two years’ experience in teaching Chinese as a foreign language. Most of them teach at renowned universities in China such as Beijing Language and Culture University (BLCU), Tsinghua University, Peking University and Beijing Normal University. They will customize individual study plans based on the students' Chinese levels and desired study fields. Private tutoring start times, weekly schedules, and study durations are completely flexible. According to our previous students' feedback, a private language course is the most efficient way to improve Chinese language skills in a short period. Are there other activities aside from studying Chinese? We arrange a variety of cultural activities, networking, seminars, social events, tours and sightseeing activities. We try to ensure our participants meet other international students and locals that are of a similar age group. We aim to organize around two to three activities a week. Transportation, food, entrance fees, and other costs related to the activity, are included in the program fee. Yes, we believe it is. Each family undergoes careful screening, including personal interviews, as well as having a security check completed before a family is accepted. Housing units are usually owned, not rented, by the host families while most hosts have professional careers. Many families are located in a pleasant community where there is a 24-hour security service. How will I get from the airport to my homestay accommodation? Don’t worry about getting to your apartment because as soon as you arrive, Go Abroad China will be there to welcome you at the airport and provide a complimentary pick up from the airport to the apartment. It is therefore important to send your flight details at least two weeks before your arrival date to Go Abroad China. The host family will prepare all the bedding in your room, soap, tissues and a towel in the bathroom. You can bring additional items not mentioned. Please keep in mind that you can get almost any product or brand that you would find at home in China easily. For more information see our Pre-departure FAQs and your Pre-departure guide which we’ll send to you once you have applied. Can I choose a host family before I arrive in China? Go Abroad China will help you find a suitable host family in China. Family placement is based on a first come, first served basis. So, if you want a range of options, we encourage you to supply us with detailed information about your requirements on your online application form so we can arrange a family which suits you best. We will often give you a few options to choose from, based on what we know about you. What if I don’t get on with my host family? If you aren’t happy with your host family after your arrival in China, your GAC program coordinator can arrange a different host family for you. However, this rarely happens. Most GAC program participants and host families get along very well and often forge life-long friendships. Should I bring my host family a gift? Should I give it to them when I arrive or when I leave? It’s not necessary to bring your homestay family a gift. However, it’s a lovely gesture to offer a thank you gift when you arrive and would mean a lot to them if you could bring something small from your home country or town. Will my room be fully furnished? Your room will be fully furnished with a bed, a desk, a wardrobe (or closet) and air-conditioning. Will I get meals if I live with a homestay? Breakfast and dinner are included in our homestay accommodation. Yes, you may, with the host family's permission. You will be able to make short local telephone calls. However, all long-distance calls should be made with a calling card. If you would like to have your own telephone number, you can register for one at the cost of 235 RMB (about US $35). Your host family will assist you in setting it up. Whether you can smoke in the house or not is up to the host family. Some will allow you to smoke, while some will ask that you only smoke outside. Will I be able to do my laundry at the homestay? Your host family will be able to show you where to do your laundry. Yes. All the living facilities in the public area of the home will be available to you. Will I have a curfew (time that I need to return to the homestay each night)? You will not have a curfew unless your parents request one. However, it is customary that you notify your host family if you are going to miss dinner or will return after 10 pm. Can I invite guests to visit me at my homestay? Your host family will need to give you permission. Can I join in with the family's activities? You will be treated like family by your host family and will be welcome to join them in their activities. We are married, is a married couple eligible to apply for your homestay program? Most of our homestay families are open to having married couples stay with them. Please note that the fee for couples will be 50% more than for an individual. What language will my host family speak? Your goal in coming to China is to learn to speak Chinese, and so your host family will communicate with you in Chinese at home. Many families will be happy to tutor you in Chinese to help you learn and improve your conversation skills. If you have applied for a Teach and Stay Program, you will have the responsibility of teaching your host family English for one hour each day. What if my Chinese is not good enough to communicate with the family? Most of our families can speak a little English and will be able to try and explain things in English if you ask them. How much social time can I expect to have with my host family? Your social time with your host family will be dependent on them. If you stay with a young couple, they will usually be available after working hours and on weekends. If you stay with a senior, or retired person, or a housewife, you can expect them to be more available. Many host families invite their guests to join their activities during the weekends, which is an excellent way to socialize with the family. Will my host family help me if I need assistance? Absolutely. Your host family will be more than happy to provide any information or help you need during your stay. All homestay accommodation is located either within walking distance to your campus, or a maximum of 30 minutes travel on public transport, off-peak. How do I keep in touch with my family while living in China? Upon arrival, all of Go Abroad China’s participants will receive a SIM card which can receive and make local calls and our pre-paid Skype account to make international calls. The mobile has a dual-SIM feature allowing you to use your international SIM card in case you have one.